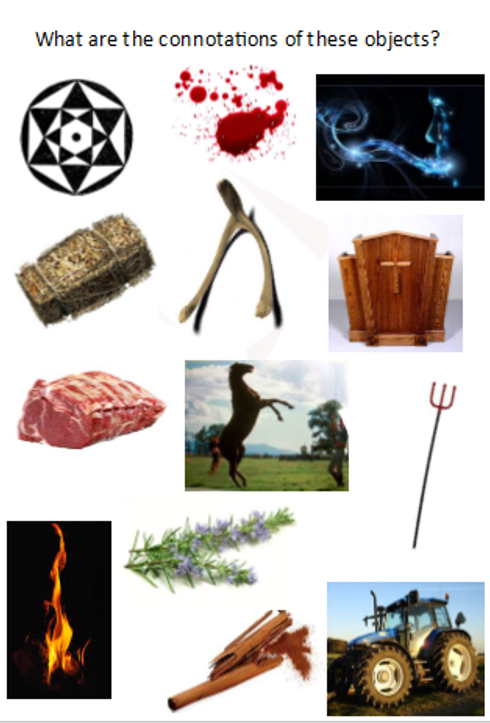 We came up with many responses including: witchcraft, nature, secrets, fear, decay, religion, life, death… These would all help with our closer inspections. 2. After this, we were introduced to the poem by listening to a recording while reading our own anthologies . We were prompted to annotate any interesting features, as well as any evidence of the themes/ideas we had found in the starter. 3. In our newly formed groups, we were then prompted to make initial reactions about structure, word choices, reader reactions and themes/feelings in the poem. Each group had 3 minutes to make notes on a section before having to pass it onto another group. As we continued to swap sheets, our analysis became deeper. We had to read what previous groups had written and add to, or develop, their ideas – this included added quotations, explaining effects on readers and making assumptions about the author’s context. 4. 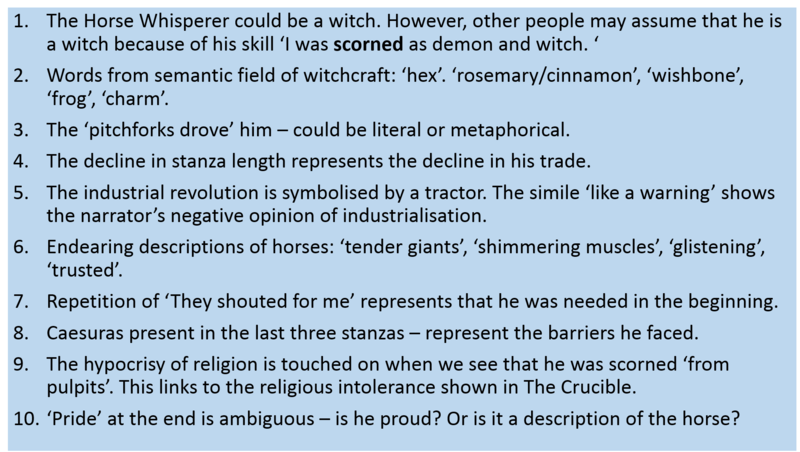 Each group then had 3 minutes to answer the question: “What is the Horse Whisperer about?” We shared our interpretations which were varied at this point, proving how there is no one true answer when it comes to interpreting poetry. Next lesson we will dig deeper into the poem and begin to compare thematic and linguistic/structural links to other poems in the anthology.